The law in New Jersey is that lien rights in vehicles are determined on a first in time basis. This means that a garage keeper lien will be valid against an auto finance lien only if the garage keeper lien arose before the auto finance lien was recorded on the vehicle title. 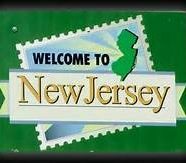 The New Jersey statute which sets this rule is N.J.S.A. 2A:44-21 and it specifically states that a garage keeper’s lien “shall not be superior to, nor affect a lien, title or interest of a person held by virtue of a prior conditional sale or prior chattel mortgage… or a prior [perfected] security interest…”. The same rule applies to vehicles that are said to be “abandoned” because N.J.S.A. 39:10 A-20 confirms that the abandoned vehicle rules “shall not be construed to supersede… or alter the priority of any perfected lien or security interest on an abandoned motor vehicle, which lien or security interest shall have priority…”. Since most auto finance liens are recorded at the time of customer purchase, an auto finance lien almost always trumps a garage keeper lien. Thus, a first-in-time auto finance lienholder has the right to pick up a vehicle from a garage and cannot be made to pay later-in-time garage keeper fees. A garage that holds a vehicle hostage and demands payment of later incurred fees is violating the law and can be made to pay damages if it is necessary to take the garage to court. d) The Meola Law Firm? The answer is “a)” call the customer and demand immediate cooperation and correction. However, if you do not get 100% cooperation and action from the customer your next call is to Meola Law Firm to freeze the title and block any title transfer that could cause permanent loss. Remember, all title problems and defects can be fixed provided that you move quickly. Title washing generally takes a few steps to complete and it can be blocked. The lienholder/lessors that lose their rights are typically the ones who allow weeks to slip by before taking action to freeze the title.